San Diego County Credit Union toy drive. 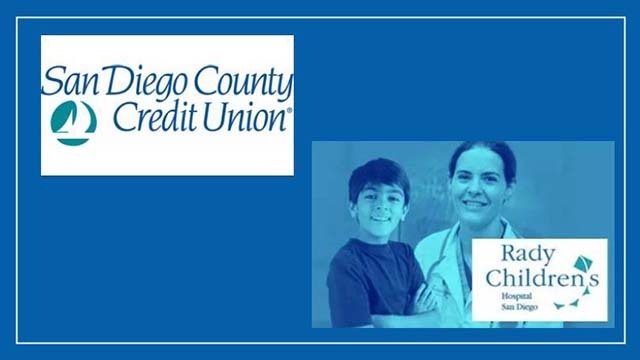 San Diego County Credit Union Thursday announced it collected roughly $3,500 and more than 2,100 toys during its eighth annual holiday toy drive, which benefited patients at Rady Children’s Hospital and Children’s Hospital of Orange County. The credit union’s 43 branches collected new, unwrapped toys throughout November and part of December, excluding stuffed animals and violent-looking toys like Nerf guns. The 2,100 donated toys represents an increase of more than 30 percent over the 1,600 toys collected during the 2017 drive. According to SDCCU, the toys are scheduled to be delivered this month. According to SDCCU and the hospitals, the toys will be donated to individual patients as gifts. Some of the toys will also be used in playrooms and support groups at both hospitals throughout the year.